Nowe domy wakacyjne w Sventoji "Saulėgrąža"
Summerhouses “Sunflower” are located in the centre of the resort. 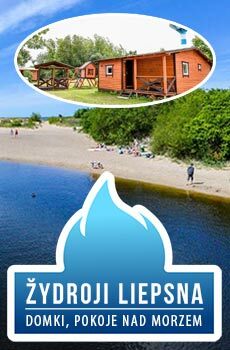 Walking distance to the sea – 500 m, children attraction park and IKI supermarket – 350 m, river “Šventoji” – 150 m.
There are two rooms and a bathroom in each summerhouse. Houses are suitable for 6 people. There is a sofa bed, TV and a double bed in the living room. Mini-kitchen is open to living room and is fully equipped (refrigerator, electric stove, dishes, and kettle). The bedroom has 1.8 m wide bed. There is a shower and sink in the bathroom. Each house has its own terrace with outdoor furniture. Grill to bake shashlik or meat. 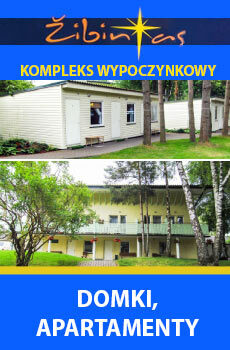 Cabins are built of timber frame, insulation rock wool, therefore, summerhouses cooler in summer. Cabins are fenced and have free of charge parking place for your car. You are welcome to come from April to October. Check-in time is 14 am. If you wish to visit with animals, consult in advance. 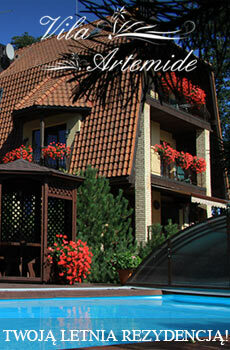 Cottage rent prices range from 25 to 90 EUR per night. 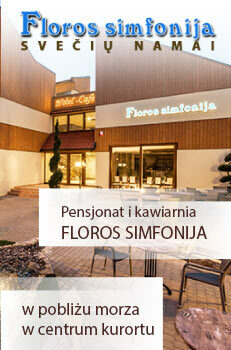 Rent depends on season, how many people visiting and staying period. Rental price does not include bed linen (bed linen set -3 EUR). Rooms are booked in advance, payment in cash or bank transfer (deposit). Deposit 50% of final sum. For those departing in prior the payment is non-refundable. Waiting for you kind and warm service!